An interesting thing about living in another country, not just visiting it as a tourist, is that it gives you the opportunity of taking full part in the new country’s traditions. Some of them might be similar or identical to the ones at home, others might be something entirely different. From my viewpoint, I’d say that Thanksgiving falls somewhere in between these two ends of the spectrum. 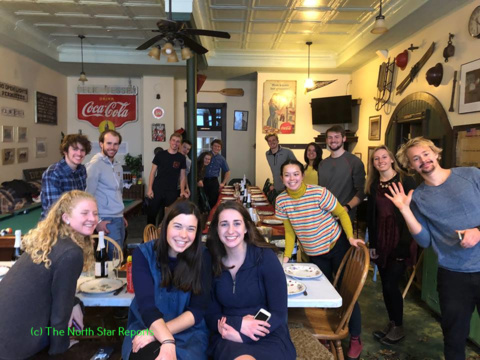 Being enrolled here at the College of St. Scholastica and also being a part of the Nordic Ski Team at the College, I got the chance to experience a (somewhat) traditional American Thanksgiving a couple of weeks ago. There’s no real equivalent to Thanksgiving in Sweden, so the whole concept of the Turkey dinner was completely unfamiliar to me except from small glimpses of it conveyed via American movies and TV-series. However, I find the idea of devoting a holiday to gratitude towards what one has and all the good things that one has been given to be a very good one, and something that should be more cherished in Western culture. After all, even though the riches of the western world might not be distributed equally, the majority of both Swedes and Americans live in what can only be described as a historically unrivaled period of economic prosperity and safety. Since Thanksgiving usually coincides with the coming of the first snow in the more wintry areas of the U.S, it is common for American Nordic skiers to eat their Turkey dinners away from home according to my American teammates. Mid-November is also a time when it’s crucial for skiers to switch from roller skis to the real deal in order to get the feel for the snow and be ready when racing starts in full swing in the beginning of December, so a lot of people use the days off to go on training camps. This does not come without some tension among families for which Thanksgiving serves as an occasion when the whole family is to be gathered and share meals, especially if the times when all of the family is in one place are few and far between. In this case, we in the St. Scholastica Nordic Ski Team were in Calumet, Michigan that had been hit by a few feet of snow just before Thanksgiving for a training camp. The team served as a substitute family for everyone during this holiday, and even though it might not be a family in the most traditional sense of the word I think that we still managed to encapsulate some of the Thanksgiving spirit in the way we celebrated it. A lot of Turkey was consumed, along with a plethora of other traditional and non-traditional dishes in the style of a potluck dinner. I must say that I was thoroughly impressed with the cooking skills of the guys on the team; people were placing one plate of goodness after another on the table. Some things I could recognize from festive occasions in Sweden, others were new experiences, such as green bean casserole, cheesy potatoes with corn flakes, pumpkin pie and stuffing. It was definitely a feast and I clearly realized that this is a very important occasion for most Americans. Some of my teammates said that they would place Thanksgiving right after Christmas as the most significant holiday of the year. Seeing how important of a family tradition this is and hearing my teammates talk about how their families were saddened by not having them at home made me realize that quite some time has passed since I last saw my own family as I left Sweden in August. Being on an athletic team has definitely helped with keeping the feeling of homesickness in check, especially on occasions like these. I can imagine that Thanksgiving could have been a tough experience if all of my teammates were to go home to their families, leaving my Norwegian friend Emil and I all alone at campus. Fortunately, we didn’t have to go through that kind of emotional marshland, and with winter break quickly approaching it won’t be long until it I’ll be able to sit down and enjoy a hot chocolate with my family. I appreciate your perspective on American Thanksgiving. This year, I spent some time wondering why Americans eat what they do on this holiday. It is not like any of our staple dishes are all that special – they’re mostly different mixtures of carbs, cream soup, and butter (ah, the great midwestern hotdish). I was speaking with Professor Liang a few weeks ago, and I mentioned that this was the first year that I wasn’t cooking for my family’s Thanksgiving for the last ten years. The tradition of food is interesting, because I think it extends past the food being consumed, but who is making it. I am glad that your teammates were impressive cooks. That makes the American tradition of eating WAY TOO MUCH a lot easier to handle. I’m glad you had such a positive experience of such an American tradition. Hearing how the holiday is perceived from those who didn’t grow up with it is extremely interesting, given how important it has been traditionally to me and those around me. I often forget the rest of the world doesn’t celebrate turkey day and it saddens me that they might be missing out on such a tradition, but also intrigues me to discover what holidays us Americans are missing out on from the rest of the world. Thank you for sharing your Thanksgiving experience. I am glad that you were able to enjoy it. 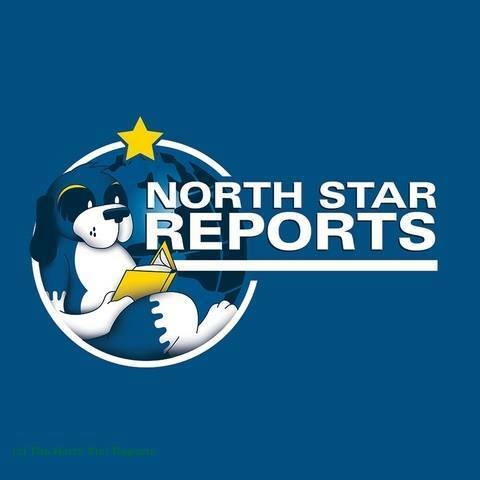 It is great to hear a perspective of the Thanksgiving holiday that does not include the Black Friday hysteria that takes such a prevalent role in the celebration today. Over the years, consumerism has changed the Thanksgiving holiday into one of “want” instead of “thanks.” Your story does serve as an excellent reminder of what Thanksgiving is still about. Family, whether given or chosen, coming together for great food, enjoying each others company (hopefully) and giving thanks for all that we have. Thank you for sharing your Thanksgiving experience, it is something that is uniquely American that is celebrating something that may not be worth celebrating considering its origins. But, it is a wonderful traditions that allows people to give thanks for the fall harvest right before the typical first snow. I’m glad you had a team to share the meal with to celebrate your first Thanksgiving to fully immerse yourself in the Thanksgiving traditions of many different people. It would be cool if anyone on the team had Swedish ancestry and made traditional dishes that you were familiar with. I know there is a Thanksgiving celebration in Canada in mid-October, I wonder how many of these traditions are found around the world that relate closely to this? Your article gives a unique voice and perspective to an American tradition, I hope you enjoyed it! I am very glad that you were able to experience an American Thanksgiving feast. Having played sports for well over half my life, I completely understand that your teammates are family. Other than the amazing food, Thanksgiving allows us to leave our daily lives for a while to cherish the close relationships that we share with others. While your first time celebrating may not have been traditional, it sounds like it let you experience the reason why it is so important to American families. I have realized being away from my family during college (though my 3 hour drive is no comparison for your flight to Sweden) that these holidays bring us together no matter what differences we have. I believe that we all would be in a better place if we treated each other like it was Thanksgiving everyday. I hope that you are able to bring home some of our tradition and make weave it into the fabric of yours. Thank you for the well written article! I am glad you had the opportunity to spend Thanksgiving here and with people you felt were family. I have played sports throughout my entire life and even the AAU team I played on in 8 grade still gets together over Christmas to celebrate. It has been almost 8 years since we played together and we made such a connection we still feel as if we are family. I think no matter what country you are from or what you practice, this time of the year brings us all together and almost brings out a friendlier vibe around the world. It is truly a great time to be alive and a great time to meet new people and experience other cultures. Thank you for sharing this sweet story with us, Hannes. I’m happy that you had your team to spend the Thanksgiving holiday with. I can see where it would be hard to not be with family for such a thing, even if it isn’t a tradition in your own culture. I am always frustrated when my family tells me we’re not spending a holiday together (typically it is work related, as my mother makes twice as much money as a normal shift for working holidays). This year was one of those times that we couldn’t spend Thanksgiving together, so my best friend’s family had me over that day. This was just as good, if not better, than spending Thanksgiving with my own family (which we actually did the next day). Sometimes friends are the best family we can have to support us at different times. And while I did enjoy Thanksgiving with my family on that Friday, I am most grateful to have so many people to spend special times with. Your ending really touched me, as I have never experienced such a long time apart from my family, and I genuinely hope you get to enjoy that mug of hot cocoa with your family sooner, rather than later. Thank you for sharing your Thanksgiving experience. Thanksgiving is one of my favorite holidays because I am able to spend it with the people I love: my family and friends. For me, Thanksgiving is a time where we can all just be together. I can empathize about being away from your family, especially in a holiday season. I haven’t seen some of my family in a very long time because we live far apart, but thanks to technology we are able to communicate a little bit. Hopefully, you are able to see or talk to your family soon. Out of curiosity, what dish was your favorite? This article was really interesting and it really showed the power of family. Family is one of the most important things that humans cherish in their lives and they play huge roles in our lives. Skiers do spend lots of time away from their families during the holidays as they train for their coming seasons for skiing. The skier families do understand the sacrifice they make as they endure intense exercises to get in better shape. Close friends can also be included as family as we spend long periods of time with them and laugh over their past experiences. Spending the holidays away from family is hard but are close friends allow us to feel the close connection that we desire during the holidays. Hello Hannes, thank you for sharing this important tradition of the CSS ski team! I must admit, I missed being at ski camp this year, but I think it is great that you all had a successful and delicious dinner. My favorite memory from the 2017 ski team camp thanksgiving dinner was the variety of foods each athlete cooked, because everyone has a different favorite dish at thanksgiving and different food at their thanksgiving dinner table. I partnered with Isaac and cooked stuffing, it was delicious! Certainly, being away from one’s family during the holiday season can be difficult, but the ski team is certainly a great substitute to fill this void. I felt very fortunate to get home and visit my family this past thanksgiving. I wish you safe travels home when you head back for winter break! I love your outlook. I have never gone abroad but even for a trip alone I feel I would miss my family. Thanksgiving is a huge holiday in the US & I am glad you got to experience that and see it through other people like on your ski team. It must be a good feeling to have a team as they can be your second family. I give you props for being away from your family for so long, I don’t think I could do that. I certainly enjoy reading about your outlook as long as my other friends from other countries. I’m glad you can enjoy that hot chocolate in a few weeks! Thank you for sharing your story and experience. Similarly to you, my family does not celebrate Thanksgiving. Since we have been in the states for so long we kind of take advantage of that day; staying and eating together. However, we do not make the traditional Thanksgiving food, in a sense we have created our own tradition. However, my Christmas is what I would say is similar to United States Thanksgivings. During Christmas, we simply get together, cook, and eat throughout the day. So during this time of year, it is about the family and food. Therefore, I am glad that you had a chance to experience Thanksgiving and that you were with a group of people. Thank you for sharing. Hannes, I really liked your thoughts on how Thanksgiving is a holiday to be grateful for what we have and how we should practice that more often. I knew that the CSS ski team usually goes away during the days off to be able to ski, but I forget to think about how their families may feel about that sacrifice. However, I’m glad that you were able to be part of a big group to enjoy a good meal! Sometimes celebrating with friends can be almost like celebrating with family, and it sounds like the food was just as delicious! Thank you for sharing this article about your Thanksgiving experience! Loved reading your article Hannes. Thank you for telling us how your experiences of Thanksgiving as a student from Sweden and how different or similar you thought they would be. This can show us to not take anything for granted and to be thankful for things because many other countries around the world do not have thanksgiving. I’m glad that you were able to take part in the Thanksgiving festivities and that you were able to eat traditional Thanksgiving food. Hope you have a safe trip back to Sweden for break. Thank you for sharing your story! I often wonder what other countries think about our Thanksgiving traditions in America! I think it is so cool that your team celebrated together. I want to spend time abroad and often think about how I will celebrate the holidays when I am away from my family. I hope I find a group just like you did! Thank you for sharing this interesting story! I particularly liked it because I can really relate to it! This is my second year doing thanksgiving with my roommate and there’s always so much to observe. I think its great that you had your team to celebrate with because after all, its about being thankful and I think that’s something you can do easily with the people you’re close with! I hope you keep having great thanksgivings in the following years to come! Thank you for sharing your perspective on Thanksgiving. I am glad to see an article in the United States talking on the positive points of the holiday, as the inevitable conversations that comes up is the mistreatment of Native Americans at the hands of the colonists. I think that your way of looking at it is correct, more positive. If we can’t find common ground on holidays then we should consider not celebrating it anymore and I think people get more out of Thanksgiving than they like to admit, even in the media. Thank you for sharing your first experience of Thanksgiving with us. In a time when Thanksgiving receives a lot of criticism, I’m glad people are able to see Thanksgiving in a positive light. Although the origins of it may be a little sketchy, I think Thanksgiving is a great time to give thanks for all the things that we often times take for granted. I always love hearing from a different perspective about American traditions. Also, I can’t imagine how hard it is to be away from your family since August, I’m hoping you can see them over Christmas break! I really enjoyed your article and I’m happy you were able to enjoy your first Thanksgiving. I’m glad you got to enjoy a Thanksgiving meal for the first time and that you were able to learn more about the holiday from your teammates. I don’t think I’ve ever not been home for Thanksgiving so it must be tough for you and people on the team to not be able to spend time with their families for the holiday. This year before I had my Family Thanksgiving I also took part of one with some of my friends in Duluth for college. It is fun to celebrate the holiday with friends also and be able to share memories with them and eat some of the great food. Also, the food at a friends Thanksgiving is more unique in some cases due to it being more of a potluck style like you mentioned, but also has a lot of the traditional Thanksgiving food. My favorite food for the meal is usually stuffing and followed closely by mashed potatoes, I hope you enjoyed all the food that was made and can have another chance to learn and experience American holidays and traditions in the future. It is wonderful that you were able to celebrate with your team. Homesickness is not fun and I could not imagine being overseas from my family during a holiday as some students are. Also, while family is important it is also great to be able to share wonderful times with friends because they can also be a sort of family. I am also always interested in how different families celebrate different holidays. There are always nuances in the traditions, yet the main themes of being with family and friends and being thankful remain constant. Thanks for sharing! I am so glad you enjoyed your first American Thanksgiving and that the ski team has taken you in as family. I had never thought about the fact that Thanksgiving is an American holiday until middle school when I asked my Dutch friend what his family was doing for the holiday, and he said they didn’t celebrate it. Of course, my grandmother and I were mortified and demanded that he come over to stuff his face with turkey and mashed potatoes. When I was abroad in Ecuador over Thanksgiving, I noticed that some of the stores do Black Friday even though Ecuadorians don’t celebrate Thanksgiving. Is this the case in Sweden as well? I found it interesting that a holiday for American capitalism could expand on a global scale. I love learning about other cultures, but it’s not very often I hear the other point of view on American traditions. I liked how you mentioned how the idea behind Thanksgiving (being grateful for what we have) I think has been lost by many in the shadow of Black Friday. It seems now, Thanksgiving is simply just a chance to eat a good meal before hitting all the sales. Thanks for sharing your view on Thanksgiving! This was very interesting to read as I have never really put thought into how our US traditions look in the eyes of those who come from another country. Growing up being both American and Mexican I always looked at my hispanic traditions as being the only cultural sense I have, not seeing the richness of US culture. Your article opened up my eyes showing me that there is in fact much culture here in the US, not in the form of processions on the street or cultural garb that one would see in Mexico, but nevertheless there are traditions that lie here. Thank you for this. I also thoroughly enjoyed reading your line on the ski team as being a “substitute family” as we grow in life our communities and “families” change and evolve and this is a great way to notice this through your eyes. Thanks once again this was a joy to read. This is always my favorite part of the year being involved with my ski club as well as the team here at CSS! The CSS Ski Team is unique in the sense that we have the time to share so much of our individuality with each other over dinner. The tension within families that you mention is something that many American’s dread; however, when I have the opportunity to bring someone new to our families Thanksgiving days or dinners, the tension floats away. Personally, I haven’t spent a Thanksgiving home with extended family in ten years because I have always been on a ski trip! Being that I have been so far removed from family Thanksgivings, I have begun to think that the world of skiers has the truest connection to the original Thanksgiving story. 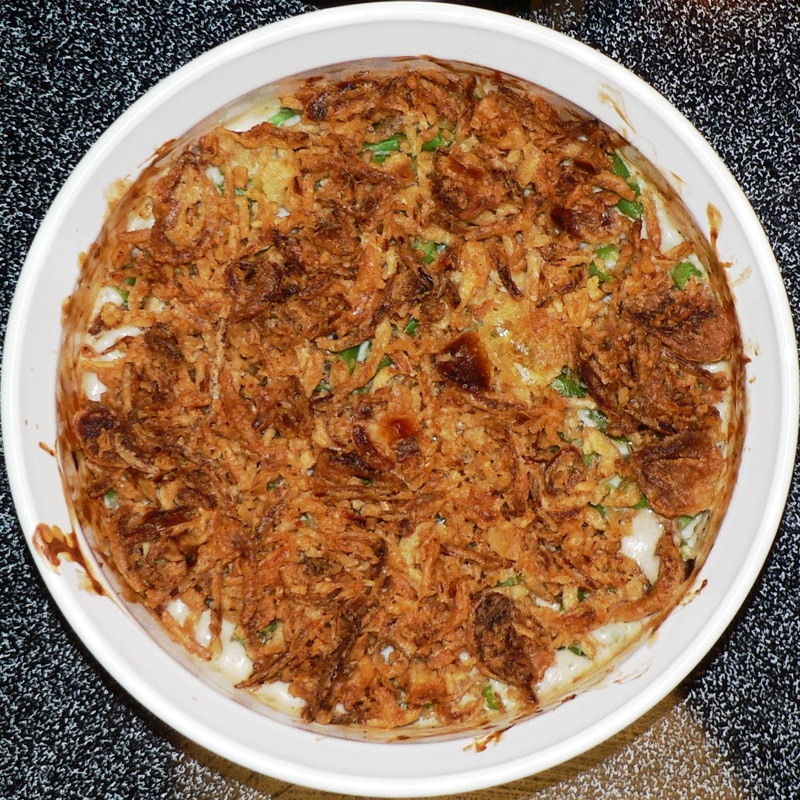 When that fourth Thursday in November rolls around, we gather members of our community and share our day with each other, this includes those cheesy potatoes with corn flakes. I am happy that you were able to join us for my favorite American tradition! I can definitely agree with your teammates that Thanksgiving should be put after Christmas as one of the favorite holidays. Being able to celebrate this American tradition of thankfulness with the ones you love is truly amazing. Along with stuffing your face full of all the goods. It is too bad that no one on your team was able to celebrate it with their families; however, at least you got to celebrate it together! I am glad you had the chance to try some new food! Thank you for sharing your story! Thank you for sharing. I am always interested in learning about different cultures myself. I spent a month in Germany the summer before last and I was introduced to a plethora of cultural norms that I was unfamiliar with. Through that experience, I felt that I walked away with a more open mind. It makes you realize just how big the world around us is. While reading your post, I could smell the goodness of Thanksgiving dinner. In my life, Thanksgiving has brought such wonderful memories that I will forever cherish. I am so glad you were able to experience this! The original Thanksgiving, which occurred in 1621, was a celebration between the English settlers to give thanks to the Native Americans who helped them survive in their new homeland. The English settler who had migrated brought new technologies, but were at risk in their home. This reminds me of a recent passage I read in World Together, Worlds Apart by Tignor et al. When talking about the new migrants who had arrived in South Asia, Tignor et al states, “They brought new languages and religious practices, but also created a new pressure to feed, house, and clothe an ever-growing population” (2018, p. 84). It is cool to see cultures throughout the times have needed to accept others and melt together to create a cohesive environment for survival. I was very interested to read your article after reading your title. I haven’t had the chance to travel to a different country (unless you count Canada) but I think that it is really cool that you were able to spend time here from Sweden. I think it is funny that you mentioned family tensions that come with “Turkey Dinner”, as the whole family gathers for this meal. I am glad that you were able to experience this event with your teammates, as I’m sure that they were equivalent to your family. Thanksgiving seems to be a very popular holiday for Americans, as you mentioned in your article. This is a cultural event that deals with our history. People of other cultures and areas celebrate different holidays and feasts that we would be new to. I would love to explore these different cultures and connect to them as you did with your team! Thank you for sharing your post! I can relate so much to your post. I really enjoyed reading it and was super excited to hear your experience. Being from Canada I to got to experience the US Thanksgiving. Even though some things are a little similar, I was still a way different experience for me. Being able to sit down with fellow friends and teammates to me was the best part. It was they first time that I wasn’t able to be with my family for it, but it was one of the best experiences for me to be able to share this day with friends and teammates. The food that was provided for us was amazing and we bonded and communicated so well. A huge question that I am trying to answer is, What is it like to be human? Special days like this reminds me so much of what it is like. In the book “World’s Together, World’s Apart” by Robert Tignor, It talks about the different food in different cultures, but also the similarities around the world. It was really cool to see that people out here have similar values to where I am from on this holiday. Did you enjoy the food out here in America? Are you excited for the net Thanksgiving experience?